provides intersting insights into both Buddhism and Conze's work.. You can download this book here as a pdf file. 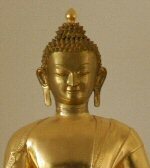 Here is Herman Oldenburg's classic work The Buddha: His Life, His Doctrine, His Order. To view more classic works on Buddhism click on the image or here. Click on the image or here to read this sample chapter. 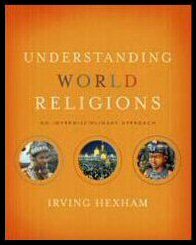 All texts and graphics on Understanding World Religions are protected by copyright, 1995, 199, 2011. Permission to reproduce material found on this Web Site must be obtained from the appropriate copyright owner. World religions graphic by Christopher Tobias from Irving Hexham's Understanding World Religions, Zondervan, Grand Rapids, 2012, and Roberta Polfus, from the Concise Dictionary of Religion, InterVarsity Press, Carol Stream, 1994.